Kids these days have so many choices when it comes to which activities to be a part of. 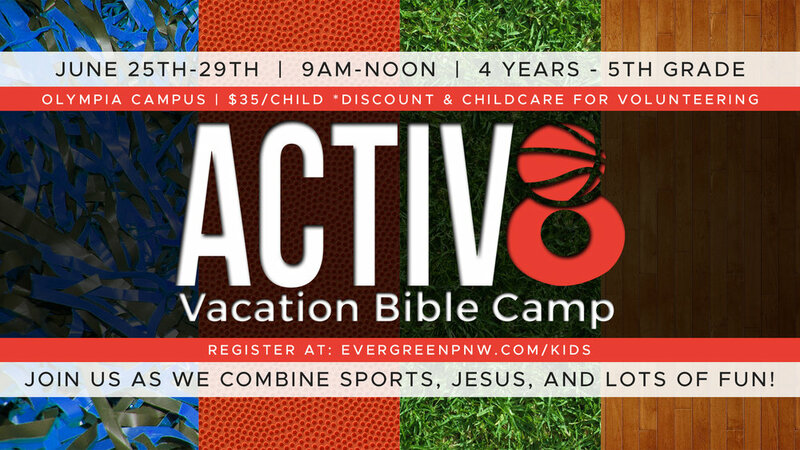 This year at VBC, kids will be able to play sports, all while learning about Jesus, the plan He has for them, and knowing what it means to "ACTIV8" their faith and apply it to their life and those they come in contact with. When: June 25-29 (9am-Noon) || Cost: $35 per child. Discount and childcare available for Volunteers! "ACTIV8-tion Celebration" on Friday, June 29, immediately following the last session (12pm). Bring the whole family for this celebration, where you will get to see what the kids learned throughout the week, reveal the winner of the week long challenge, and more!